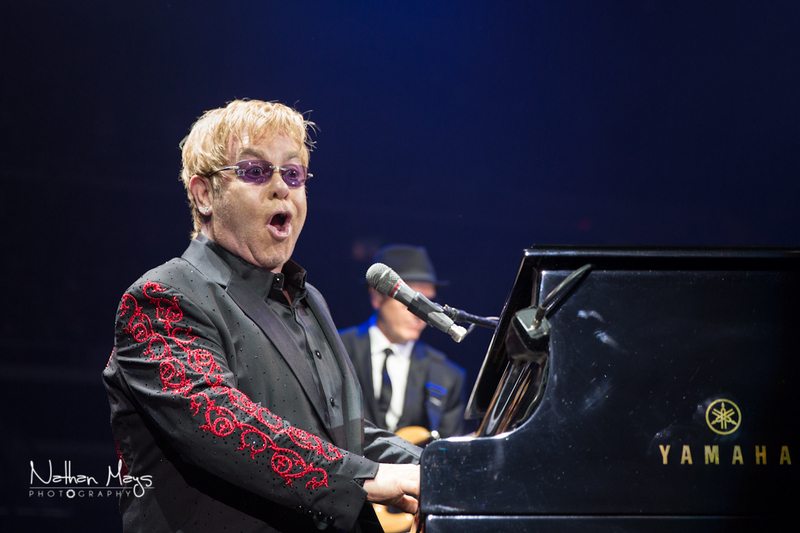 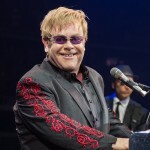 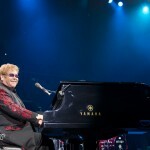 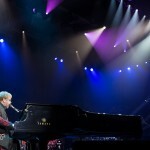 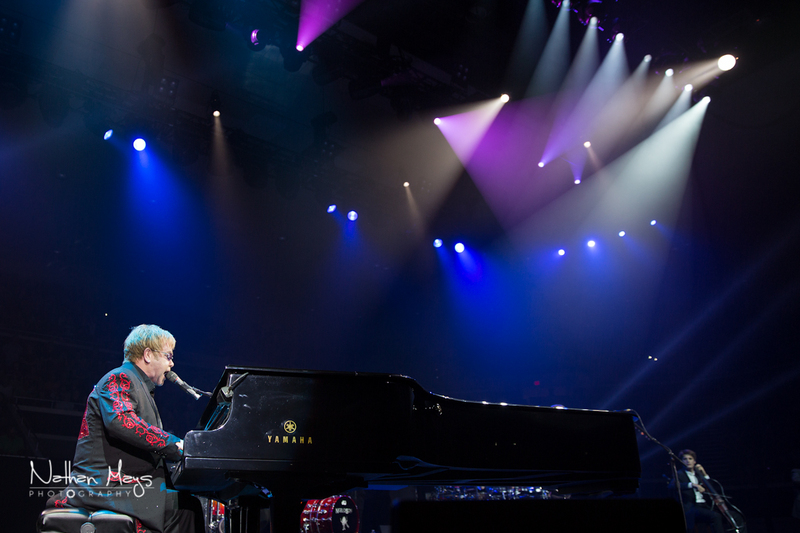 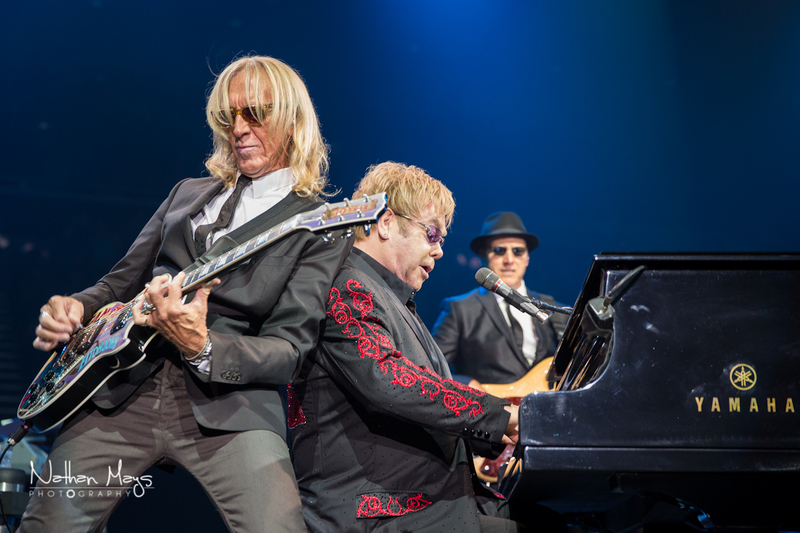 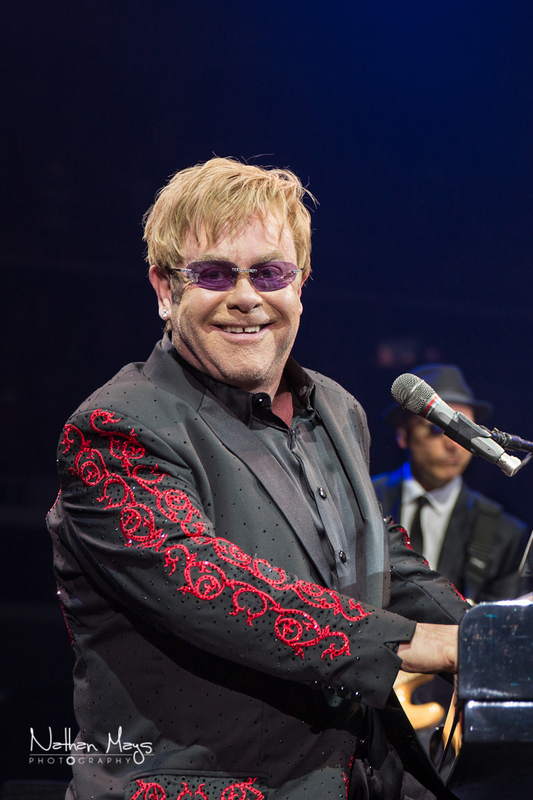 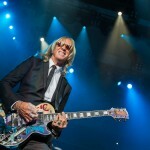 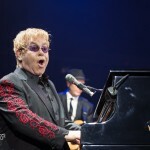 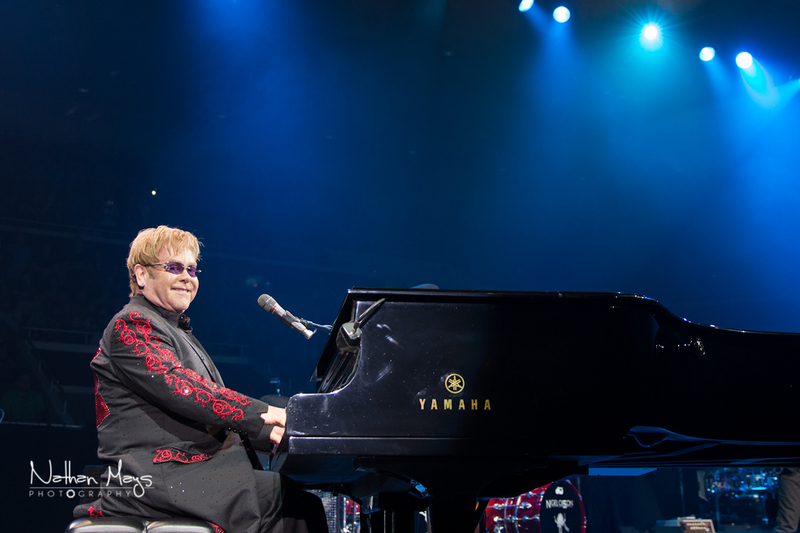 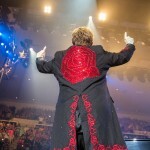 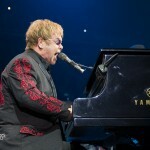 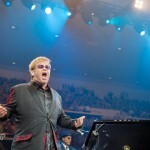 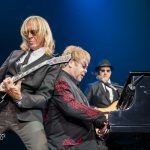 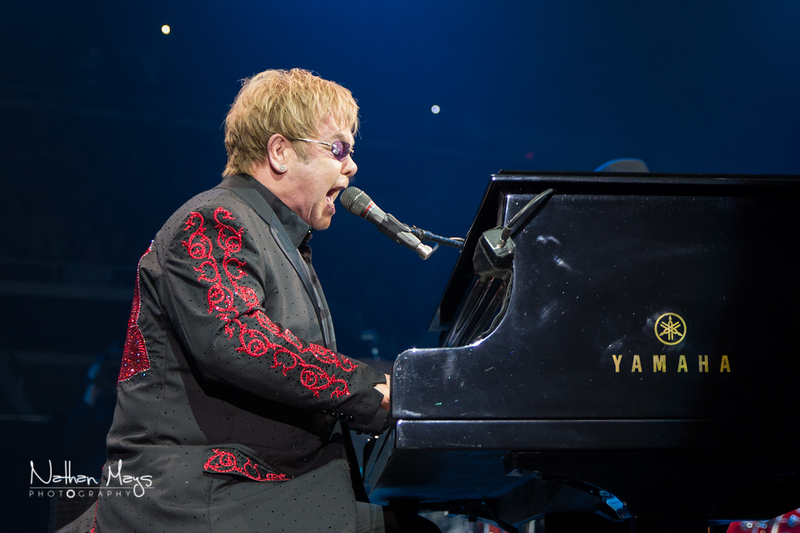 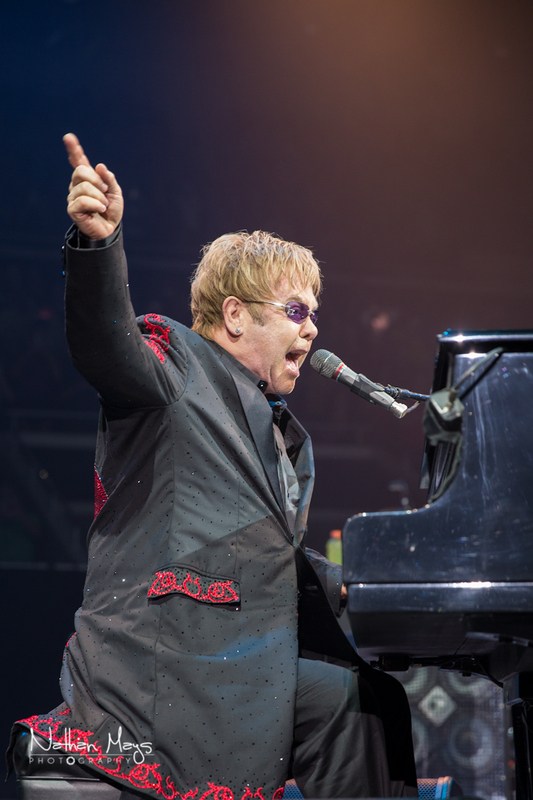 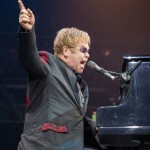 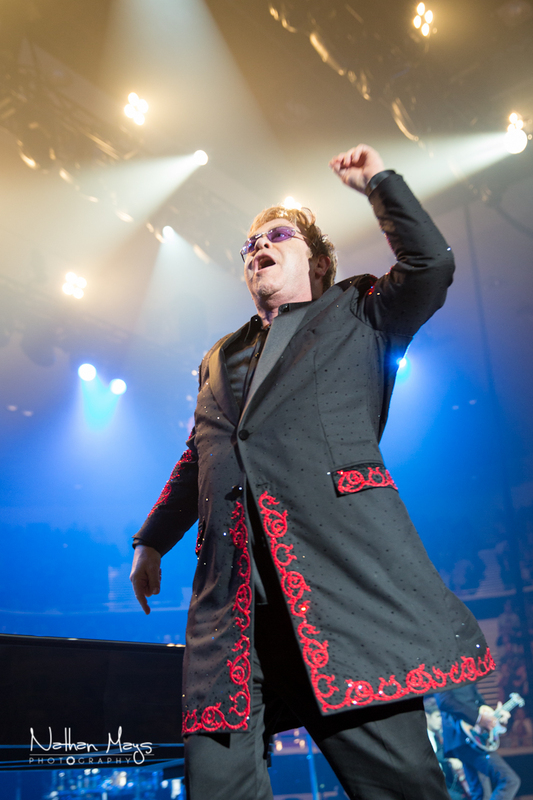 Elton John returned to perform at Johnson City’s Freedom Hall on September 16th after a 12 year hiatus. 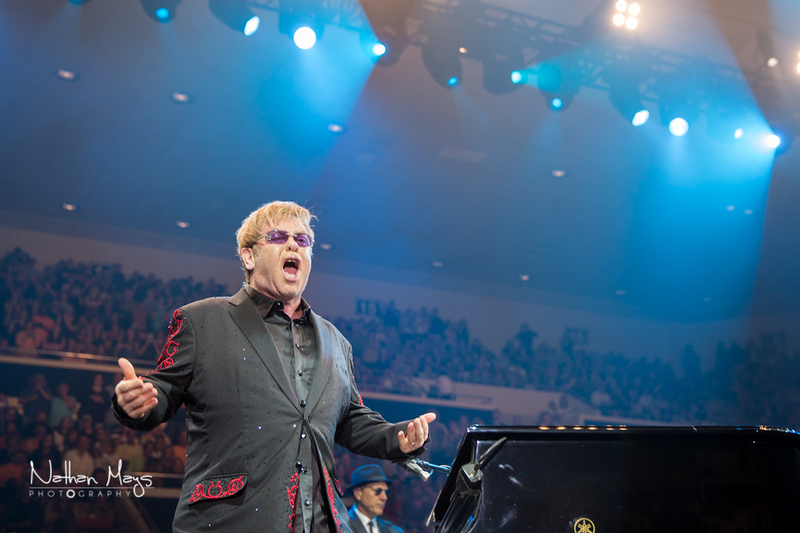 Freedom Hall has had its share of big acts (Aerosmith, The Eagles, Elvis Presley) but Elton John was the biggest act to perform there in quite some time. 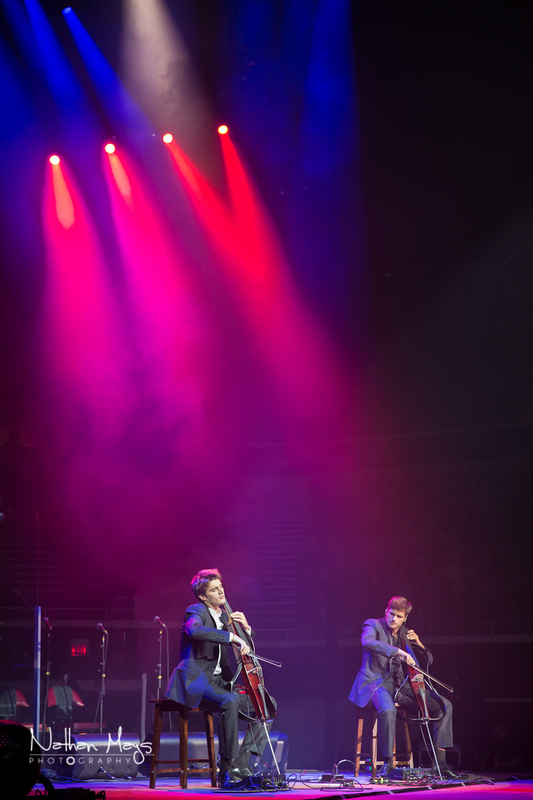 Needless to say the show sold out in a matter of hours. 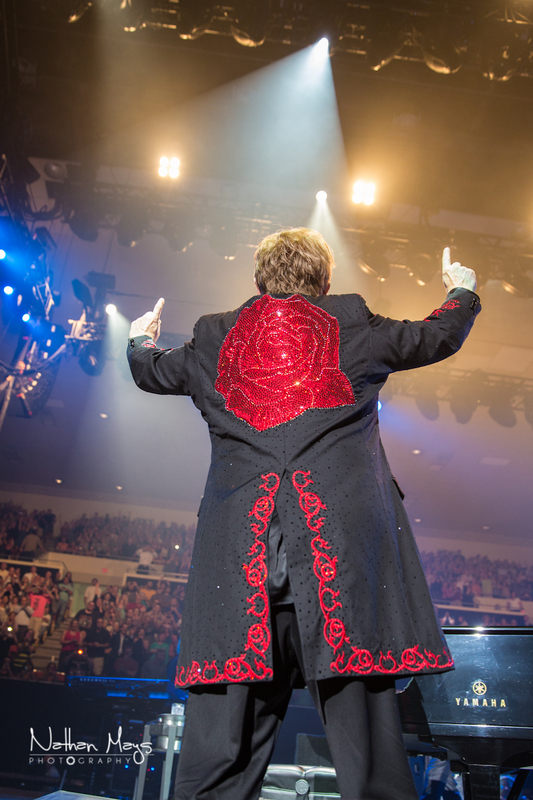 The crowd was certainly appreciative of having a performer of that magnitude come to their small town and they showed it! 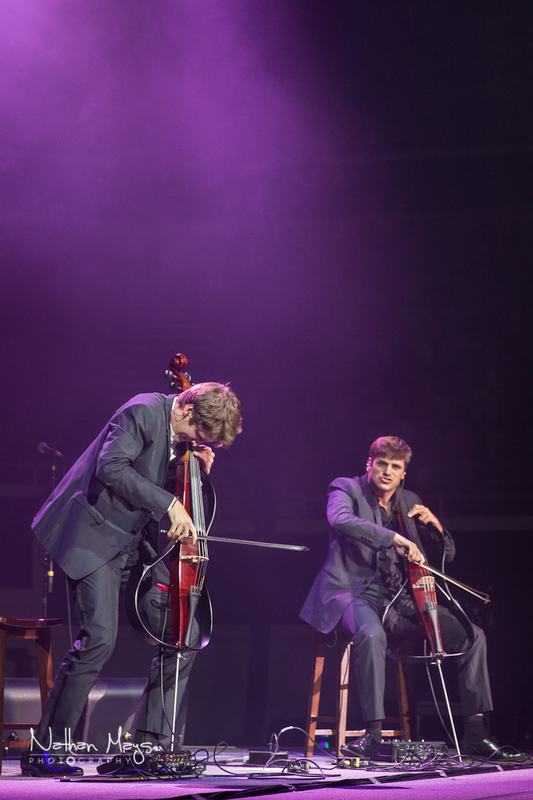 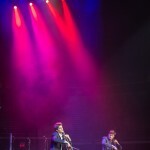 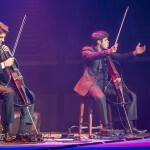 The opening act was the YouTube sensation 2Cellos from Croatia. 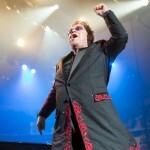 The performed quite a raucous set including a cover of Highway to Hell by AC/DC. 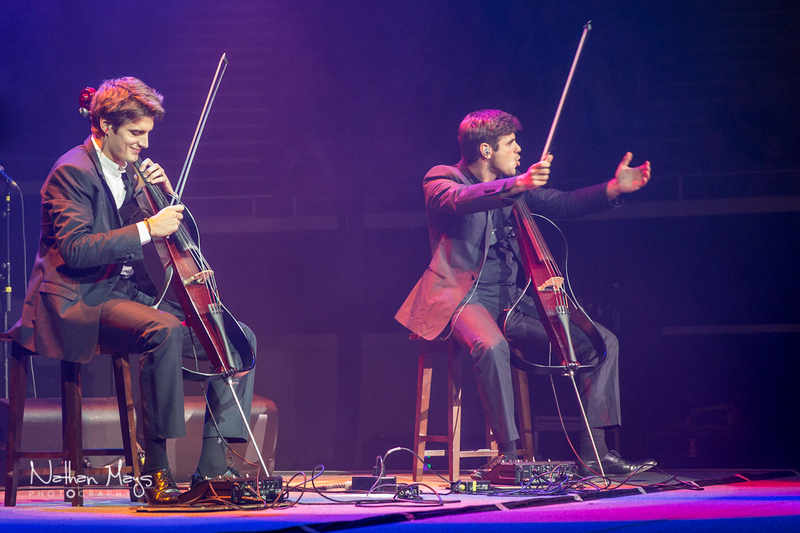 The capacity crowd ate it up and leapt to their feet! 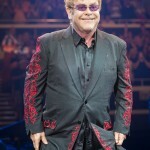 The cheering continued while Elton walked onstage and kicked off the show. 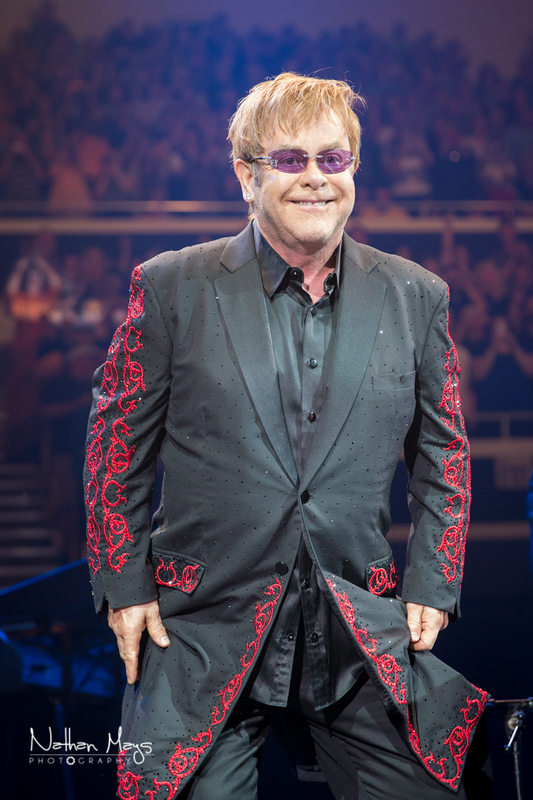 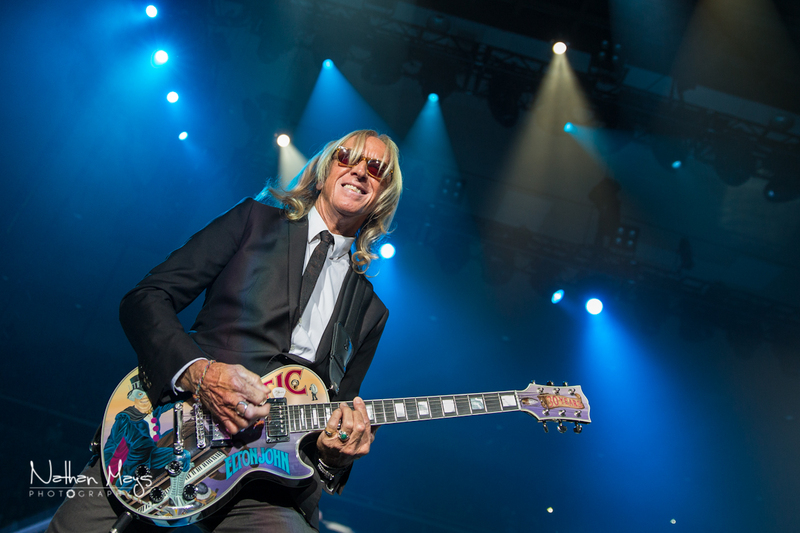 Elton certainly lived up to his reputation of putting on a stellar show, with a setlist that contained a plethora of his biggest hits that kept the crowd going throughout the night.